නිදි අග්‍රාවාල් ඉන්දියානු නිරූපිකාවක, නැටුම් ශිල්පිනියක සහ නිළියකවන අතර බිලිවුඩ් චිත්‍රපට තුලින් දැකගත හැකිවේ. ඇය 2017 වර්ෂයේදී ඇයගේ මුල්ම චිත්‍රපටය ලෙස මුන්නා මයිකල් හි රංගනයෙන් දායක විය. නිදි අග්‍රාවාල් උපත ලැබූවේ හයිද්‍රාබාද්හිදී වන අතර හැදී වැඩුනේ බැංගලුරු වලය. ↑ "Confirmed! 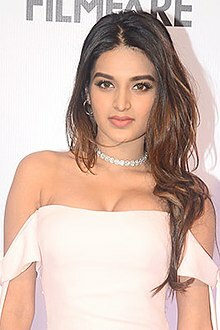 Tiger Shroff to romance Nidhhi Agerwal in are Munna Michael". Deccan Chronicle. Aug 15, 2016. සම්ප්‍රවේශය 2018-06-22. ↑ "Munna Michael starring Tiger Shroff, Nawazuddin Siddiqui to release on 21 July". Firstpost. April 21, 2017. සම්ප්‍රවේශය 2018-06-22. මේ පිටුව අන්තිමට සැකසුවේ 2 සැප්තැම්බර් 2018 දින දී, 06:11 වේලාවෙහිදීය.